Most crashes are at the front or from the side with a front angle. 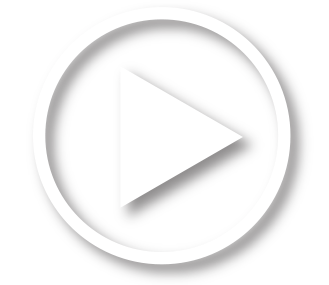 A child’s body is propelled forward, which can result in severe injury. 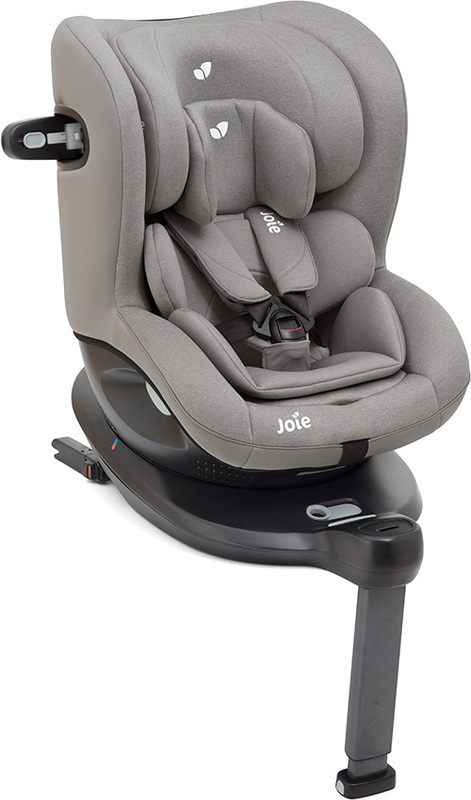 A child’s body is securely cocooned while the safety seat absorbs the impact. 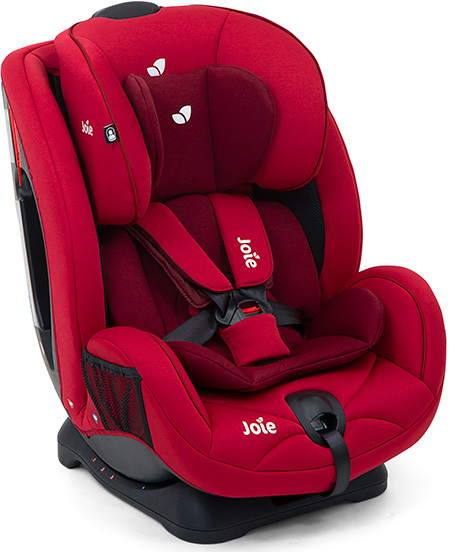 Even adults would be safer sitting rearward facing; however, young children’s delicate and developing bodies make riding rearward even more important. Globally renowned doctors, pediatricians and child safety experts answer your key rearward versus forward facing questions. What about my child’s scrunched leg when rearward facing? It looks dangerous and uncomfortable. Broken legs can be fixed. But injured spines are not easy to repair. There are more leg injuries when kids are facing forward facing vs. rearward. When rearward facing in an impact, the legs fly forward, hit the back of the front seat and can break. Source: Children’s Hospital of Philadelphia’s Center for Injury Research and Prevention. 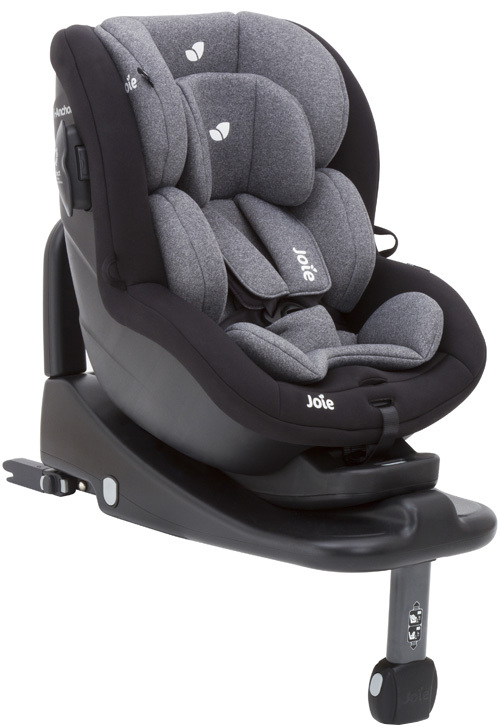 Since I can’t see my child’s spine developing, how do I know when it’s safe for my child to ride forward facing? Although you cannot see the development, it gradually occurs through the first several years of a child’s life. 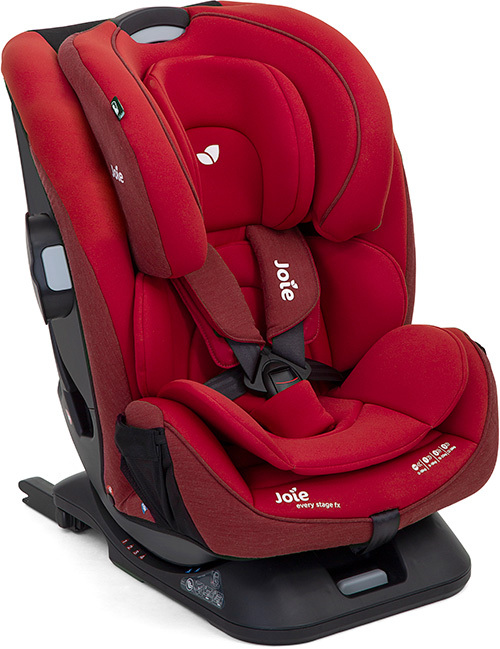 Each child develops at a unique rate but according to the i-Size ECE R129/01 standard children should ride rearward facing until at least 15 months. Many global safety experts recommend continuing past 15 months, up to two years, three years or even up to 4 years as required in Sweden. Medical professionals liken the child’s spinal development and head size to that of an apple on a stem. A surprising but effective way to describe how fragile and delicate young necks are compared to the disproportionate weight of their heads. Although an adult’s spine is more developed and head is more proportioned to the body as compared to a young child’s — even adults would be safer riding rearward facing! Do any parents really keep their kids rearward facing up to 4 years old? How is that possible? Yes! Parents do. 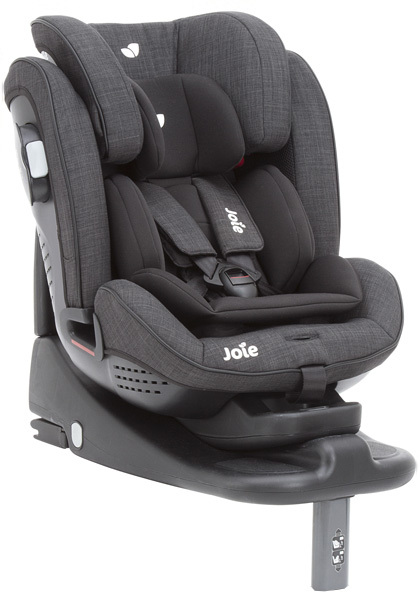 In fact, in Sweden children have been riding rearward facing up to 4 years old for the past 30+ years. 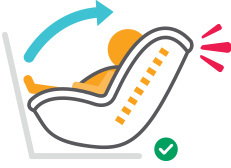 What about ease of loading my child into the car when rearward facing? It’s actually easier to load children when rearward vs. forward facing because the car door is not in the way. We tested this theory. The experts are right! Give it a try. What about the social interaction we are missing when rearward facing? It is better to be safe than social. Children’s social skills develop through all types of communication, verbal and auditory. Plus they likely receive plenty of social stimulation outside your car drives. However, you can still talk, sing, play games and socially engage even without eye contact. What about the fact all my other friends are turning their children forward? It just seems like it’s time. My child is very developed and looks ready. It is well understood you are excited for your child to grow, develop and progress. However changing from rearward to forward facing is one milestone you should delay as long as possible. 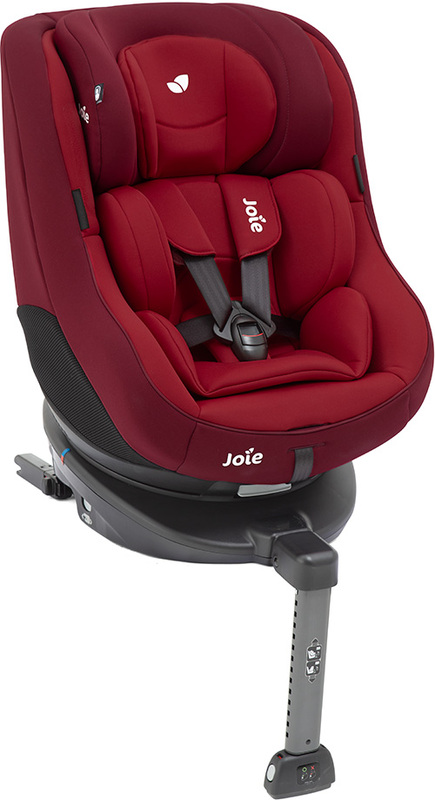 You can be a trend setter and a safety advocate by being the first in your circle of friends to keep your child rearward even after your friends have switched their children forward facing. Maybe they will follow your lead and keep their children rearward facing longer. You could play a part in raising awareness, spreading the safety message and saving children’s lives. READY TO RIDE REARWARD LONGER? 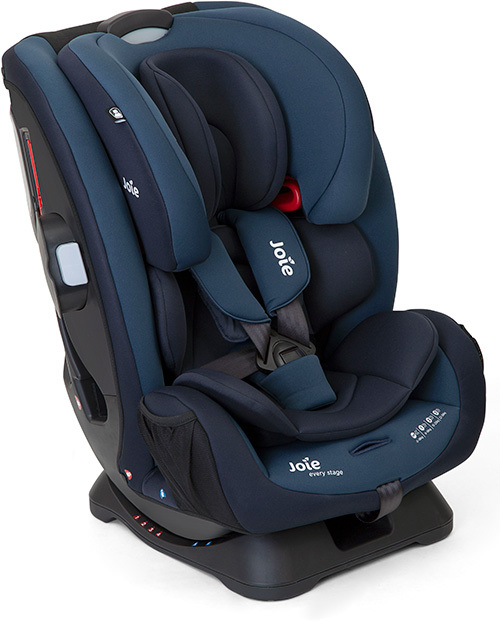 Click below to see a few of the sources utilised to learn the benefits of keeping children rearward facing longer. 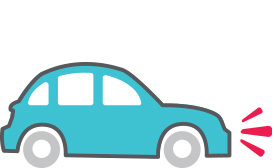 Most crashes and the most severe crashes happen at the front of a vehicle. In fact, 62% of crashes are frontal, and while 25% of crashes are from the side, nearly all of these have a frontal component. “...relatively few passenger cars involved in fatal collisions are struck in rear locations (5%) compared with front (62%) and side (25%) impact locations.”2 -National Highway Traffic Safety Administartion. Traffic safety facts 1995. (DOT-Hs-808-471.) Washington, DC: US Department of Transportation, 1996. 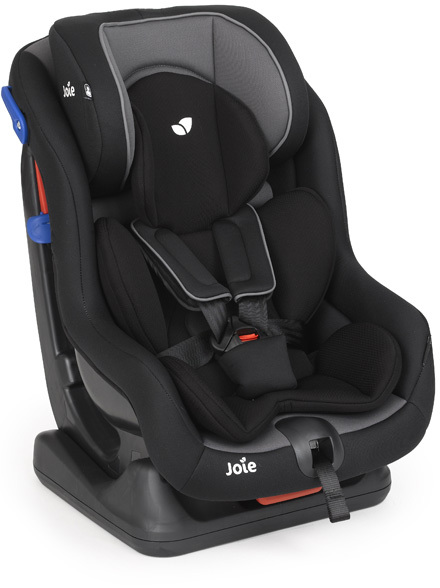 When forward facing, children move forward during a crash, leaving the protective cocoon of the child safety seat. 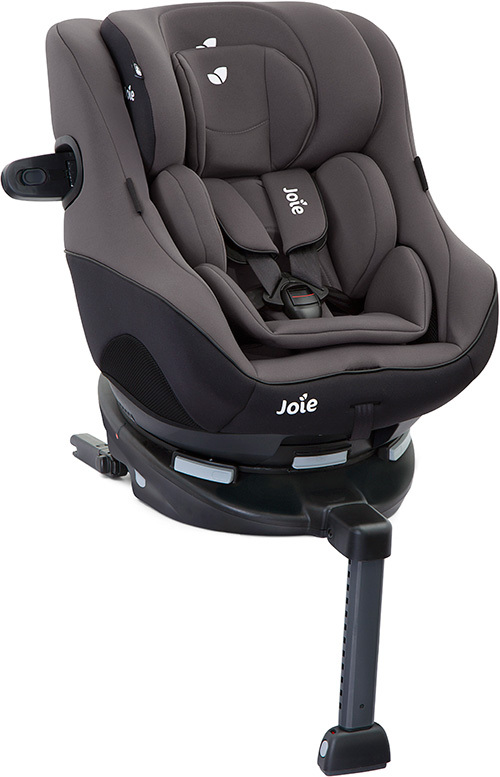 While the body is held in place by the harness system, the child’s limbs and disproportionately heavy head fly forward, causing strain on the neck. 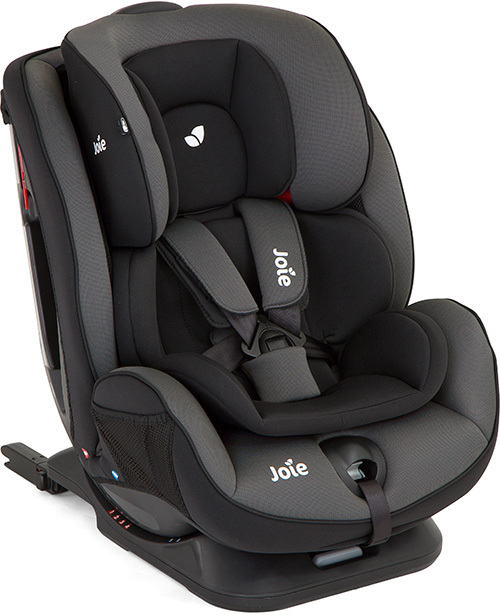 “When in an FFCS [forward facing car seat], a frontal crash component causes the child’s head to move forward and further away from the car seat, limiting or removing any benefit of the side wings.”3 - B Henary, C P Sherwood, J R Crandall, R W Kent, F E Vaca, K B Arbogast, M J Bull Injury Prevention 2007;13:398-402. doi: 10.1136/ip.2006.015115 “Forward-facing infants and young children are particularly susceptible when compared with older children and adults to cervical spinal injuries because their relatively large head, lax cervical anatomy contributes to increased cervical spinal cord tension load during a frontal MVC [motor vehicle collision].”4 - Stalnaker RL. Spinal cord injuries to children in real world accidents. Child Occupant Protection 2nd Symposium. Warrendale, PA: Society of Automotive Engineers (SAE 933100), 1997:173-83. 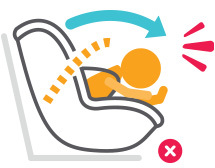 During a frontal crash, a child’s body moves into the safety seat, which spreads the force over the entire body and absorbs the impact. 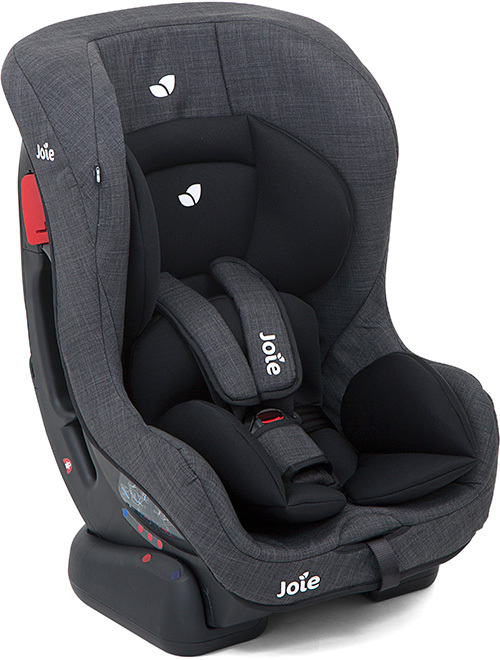 This not only protects the child from flying debris or intrusions into the vehicle, but also prevents extreme strain on their delicate body. 2015 internal ECE testing with Q1.5 dummies. 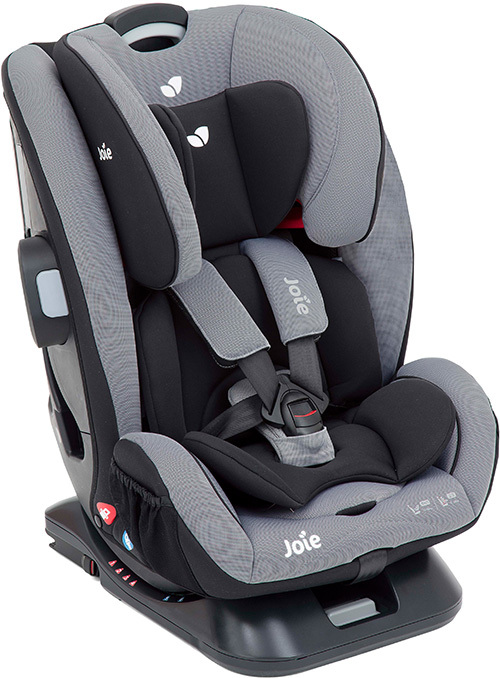 Based on performance averages of all Joie rearward and forward facing car seats. National Highway Traffic Safety Administration. Traffic safety facts 1995. (DOT-HS-808-471.) Washington, DC: US Department of Transportation, 1996. Stalnaker RL. Spinal cord injuries to children in real world accidents. Child Occupant Protection 2nd Symposium. Warrendale, PA: Society of Automotive Engineers (SAE 933100), 1997:173-83.